So, we're building unit cohesion on a weekend trip to Busan. By diving with sharks. 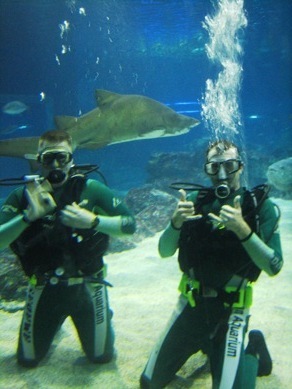 I mean, really, that's one of those "you've either done it or you haven't" kind of bonding things, right? 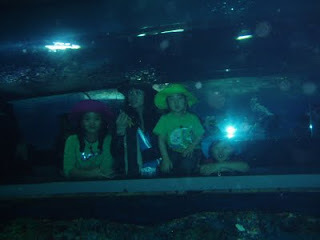 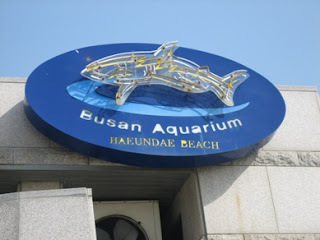 The Busan Aquarium: No shark attacks in the last 6 days! This is the view of spectators from inside the tank. 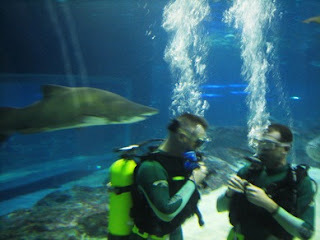 What's the sign for "Shark behind you?" 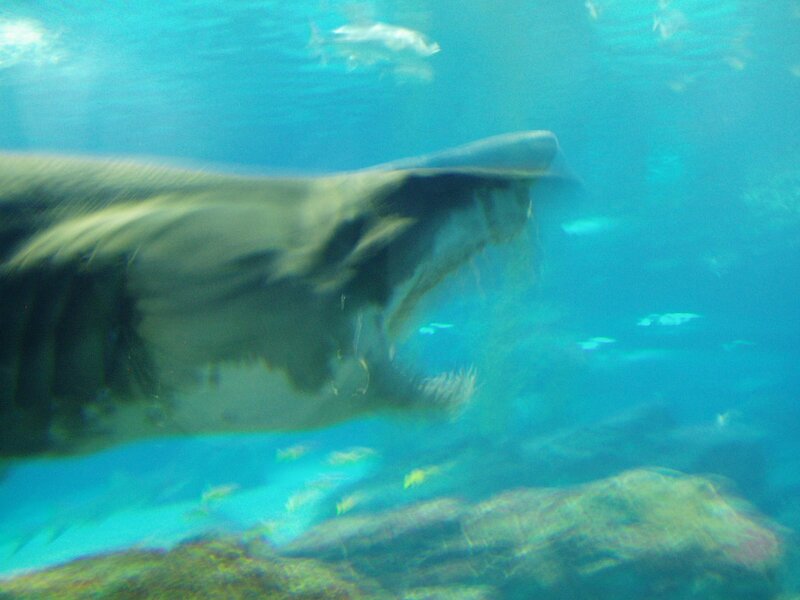 Doesn't also sound much more dangerous to describe them as "sand tiger sharks" rather than "nurse sharks?"